Will you be our business client? Do you want to provide your clients, relations or colleagues with new insights into the sometimes so busy life that we lead, and suggest some solutions? Flow helps do this, offering insights and inspiration about making different choices, leading a simpler life and finding small happiness. Flow joins you in thinking about how you can live life in this rapidly changing world. 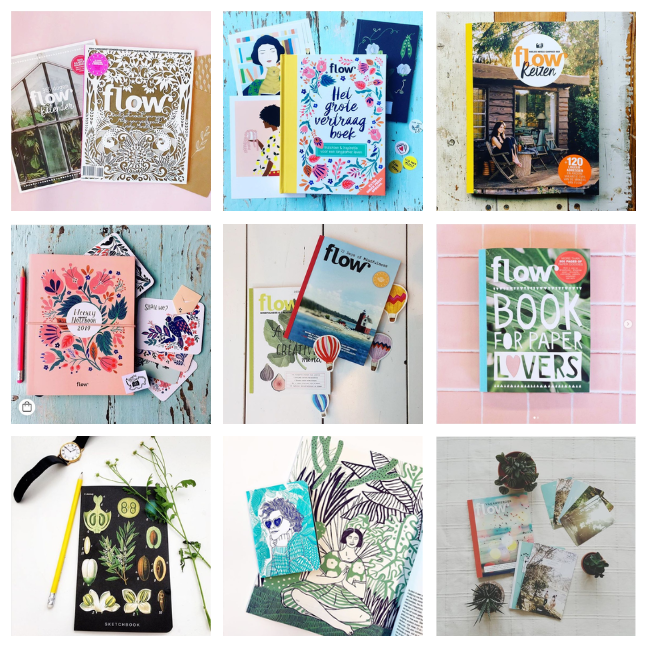 In addition to the magazine, Flow has creative and psyche Special issues, with many different themes. For example, the popular Book for Paper Lovers, the Make It Yourself special and Mindfulness specials. We also publish a Flow Diary different calendars each year and we have a line of stationery. In the Flow Webshop you will be able to buy our products at a discount. If you order ten or more of a Flow article, you can make use of the order discount. You will receive a discount code that you can fill in at the shopping cart stage. Please mail to business@flowmagazine.com for more information.